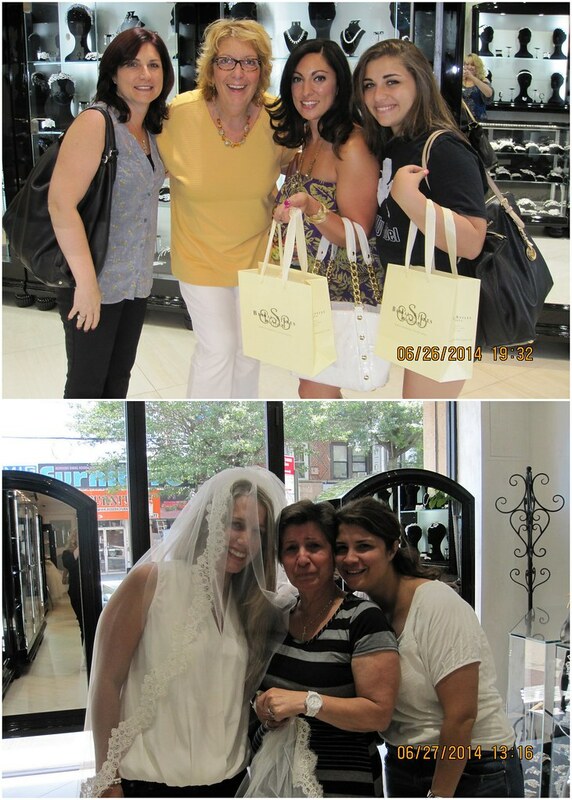 Our semi-annual sample sales have always felt a little like really fun bridal showers. 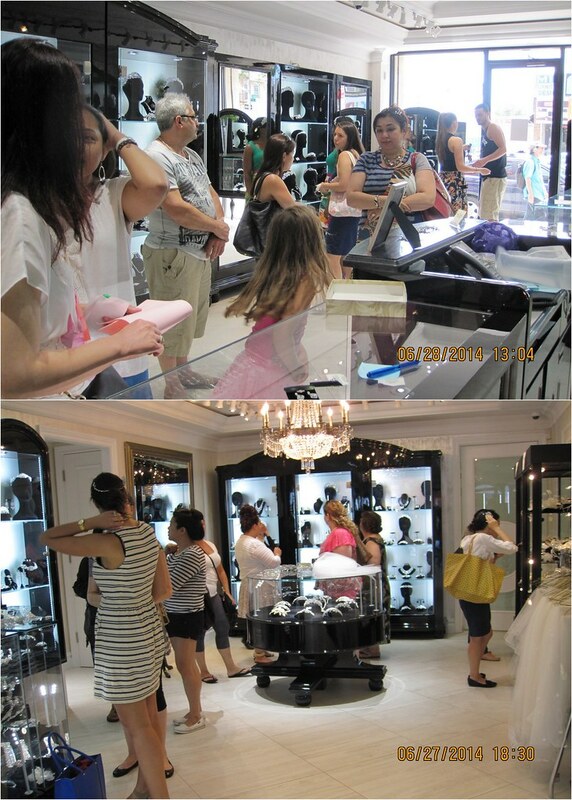 Excitement and anticipation fill the air, everyone’s smiling and delighted by everything they see. Women walk around in their street clothes with crystal-encrusted headpieces and veils in their hair. Friends and family fluff and tease their brides-to-be. Beautifully wrapped packages march out the door. However, as the first sample sale in our newly renovated and expanded boutique, this summer’s event was even more fun than usual. 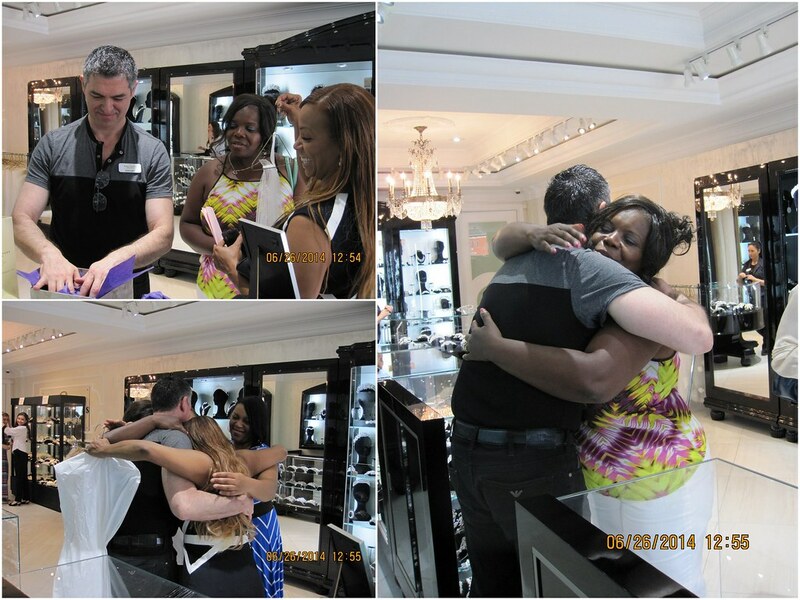 All our stylists spent the weekend bubbling like freshly opened champagne! It warmed our hearts to see the shop filled with familiar faces returning to help sisters, sisters-in-law, cousins and friends find just the right piece. 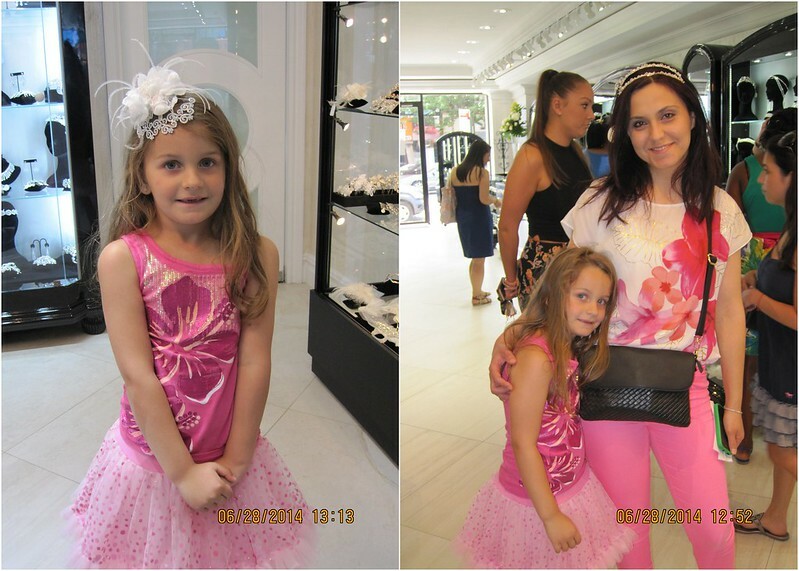 And it was such fun to see a sweet little future Bridal Styles bride help a bride with her accessory selection. 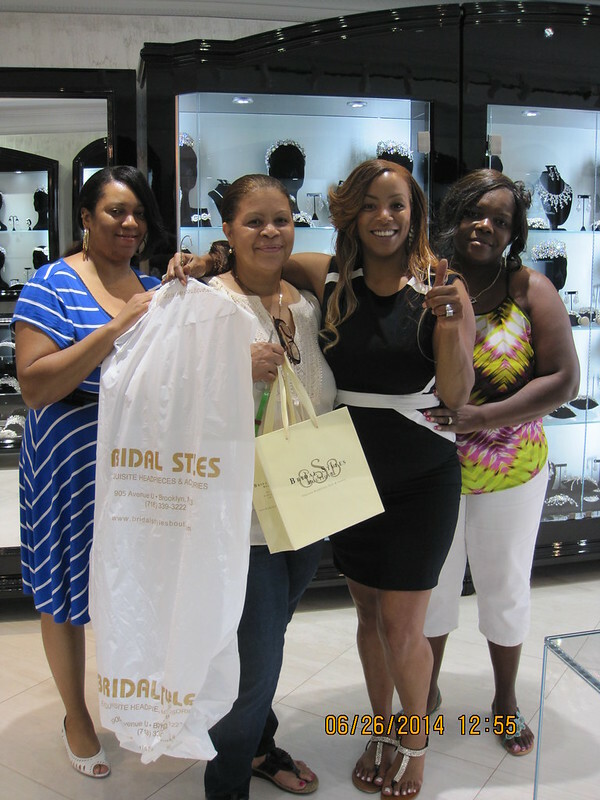 Many happy brides on a budget found the perfect couture pieces, and there were lots of grateful hugs all around. 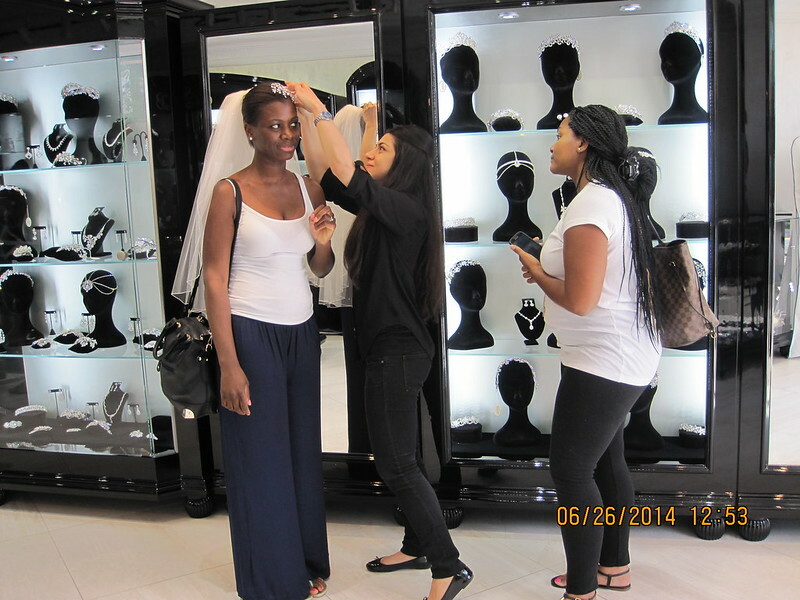 Which made The Bridal Styles Boutique summer sample sale of 2014 a huge success and a ton of fun. We’re looking forward to our next big sample sale in December! This entry was posted on Tuesday, July 15th, 2014 at 5:03 pm	and is filed under Events. You can follow any responses to this entry through the RSS 2.0 feed. You can skip to the end and leave a response. Pinging is currently not allowed.